Located in Worthington, Ohio, Blue Marlin Graphics is dedicated to helping businesses and organizations turn ideas into impressions. By offering printing solutions and promotions from concept to mailing, we offer a streamlined service that ensures consistency and care. We listen to your needs and respond with a customized solution. So whether you're a bank, school, association or business, let us help you navigate the world of business communications and find solutions for your printing and promotional needs. Blue Marlin has been family owned and operated since 1999. 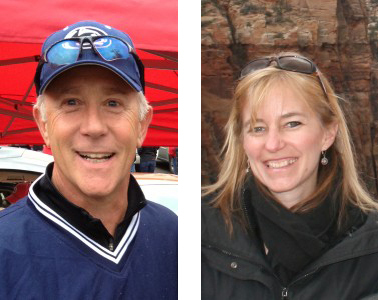 The owners, Chris Engel and Lori Smith, have more than 30 years of experience in the printing and promotions industry and bring this experience to bear by combining market knowledge with the latest trends.